Gesaffelstein is a multitalented music star who boasts of a diverse range of talents and abilities. He is a record producer, songwriter, music artist, disc jockey, and an all-around music genius. Over the years, the French-born musician has gotten to work with some of the most famous names in the international music scene and he is regarded in some quarters to be one of the best producers of the 2010s. While working with other artists, he has also put out several of his own original songs. His debut album Aleph was released in 2013 and six years later, he released his second album Hyperion in February 2019. He equally makes music for films and television productions. Though he is best known all over the world by his stage name Gesaffelstein, this music star was born Mike Lévy on June 13, 1987. Gesaffelstein is coined from two names; Gesamtkunstwerk and Albert Einstein. He was born and raised in the Southern French city of Lyon. He took interest in music at age 16 just as a hobby. However, his passion for music grew after he discovered the instrument called the synthesizer and year after year, he continued to experiment with it. His career began officially in 2008 and by the following year, he started producing remixed versions of several hit songs. As his remixes continued to garner popularity, he released his first official EP The Operator in November 2009 followed by a second EP Variations which was released in November 2010. The year 2011 can be said to have been a very busy and productive year for the music star as he released up to four EPs including Conspiracy Pt. 1 and Conspiracy Pt. 2. He collaborated with fellow French producer The Hacker on his third EP for the year Crainte / Errance which was released in May 2011. 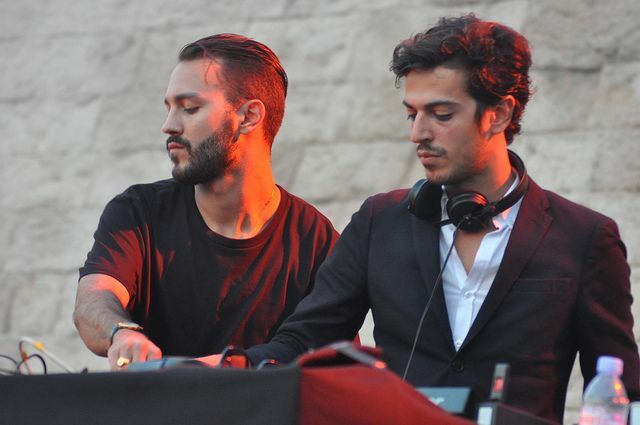 Gesaffelstein collaborated with another French DJ Brodinski on the fourth EP Bromance #1 which was released in November 2011. He released only one EP in 2012 titled Bromance #4: Rise of Depravity. The musician was enlisted by Kanye West to work on his sixth studio album Yeezus. The album was a massive success with Gesaffelstein contributing to 2 singles “Black Skinhead” and “Send It Up”. His collaboration with Kanye earned him more prominence in the industry and also helped him to move beyond the dance music blog circuit into the mainstream music scene. Gesaffelstein eventually released his first full-length album Aleph in October 2013. The 14-track album received stellar reviews from critics and was named one of the top EDM albums of the year. It also charted favorably in Europe and the US recording a peak position of 16 on the Billboard Top Dance/Electronic Albums chart. After the release of his debut album, the multi-talented music star remained occupied working with other musicians and he did not release any song of his own. After a long wait, his second studio album Hyperion was released under Columbia records in March 2019. Unlike his first album which had no outside contributions, the album featured collaborations with other writers, producers, and singers including Pharrell Williams, The Weeknd, The Hacker and several others. The album reached a peak position of No 10 on the Billboard Top Dance/Electronic Albums. Releasing a new album is certainly not the only highlight of the year for this music star as he is billed to perform at the 2019 Coachella Festival. He had previously performed at the festival in 2015. 1. Gesaffelstein worked with singer and DJ Miss Kittin on the single “Calling from the Stars” off her third solo album Calling from the Stars (2013). 2. In 2014, he collaborated with A$AP Rocky on the track “In Distress” for the soundtrack album to the 2014 blockbuster film Divergent. He also produced a full-length soundtrack for the 2015 French movie Maryland (Disorder). 3. Gesaffelstein worked with legendary French musician Jean-Michel Jarre on the 2015 single “Conquistador”, off the latter’s 17th studio album. He also contributed to the 2018 EP My Dear Melancholy by The Weeknd, featuring on two singles – “Hurt You” and “I Was Never There”. 4. During his final performance at the 2015 Coachella festival, Gesaffelstein announced that the show would be his last live performance as he’d be retiring from music. It all turned out to be a mere publicity stunt as he did not retire but resumed touring the following year.